Nothing new about that, you grumble to yourself. People have been talking about an Order 66 mode since they announced this game was going to have Clone Wars content. Heck, modders were making Order 66 mods back in 2006. The new part is in the execution. And maybe even that isn't really particularly new, but bear with me while I explain. First of all, it would be a Hunt mode. 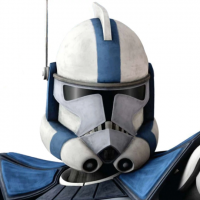 Ideally that would put it up along other potential new Hunt modes such as Point Rain Hunt, a Geonosis based mode that gives us phase-2 clone troopers instead of the phase-1 Troopers we see in the other Geonosis modes. And Naboo Swamp Hunt, in which battle droids seek and destroy Gungans in a swampy, misty part of Naboo. And Rookwrorro Hunt, in which Stormtroopers and bounty hunters subdue and enslave Wookiees in a Kashyyyk treetop city. But I digress. Here's the idea. Setting is the Jedi Temple on Coruscant, much of it shadows and dark since it is late at night. most of the players are generic, randomly generated Jedi. They have blue or green lightsabers that start in the off position, a Force Push ability that knocks down but doesn't damage, and a Mind Trick ability that doesn't last as long as Rey's does. They are able to block blaster bolts, but this block has a short duration, and their health is low, maybe just 100. They can feel in the Force that something is wrong, but they don't know what. Nothing shows on their mini-map. 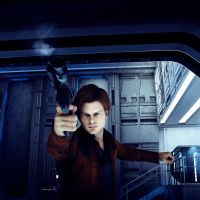 One player starts as Anakin. Cloaked and hooded, eyes burning yellow and red as the Dark Side fills him. At first, he does not show up on the Jedi minimaps at all. As he begins to kill Jedi, his red dot will flicker more and more strongly into view. 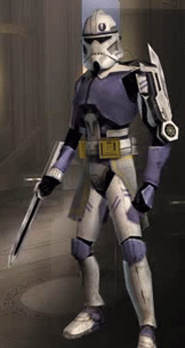 Every Jedi he kills will spawn back in as a 501st Clone Trooper, Assault class. They will have blasters and flashlights for the dark halls, and a thermal detonator with a long cooldown. Their blaster-fire will show on the mini-map, and starting when half the Jedi are killed, the Clones will begin showing as precise but faint and flickering dots on the mini-map as well. If Anakin -- or Lord Vader, really -- is defeated, the next Trooper to fall to the Jedi will spawn as Lord Vader. After a certain amount of time, sky cars begin to land on one of several docking areas in the temple, and if the surviving Jedi can get there and get into a sky car, then they escape. Ideally, there could be other modes added later, Order 66: Felucia, Order 66: Kashyyyk, Order 66: Mygeeto, Order 66: Utapau, etc. Personally I love it, but I think DICE could not implement something like this in the game with the current situation. While I love the idea, I don't know how fun it would be if Anakin was played by random people in the match. I had the same problem with my own concept of Jedi Hunt, and I feel like there is a better solution to it. I just don't know what, though. Have the setting of the map take place just after Order 66 (so Darth Vader is no longer there), where you play as 501st Clone Troopers mopping up the Temple. The Jedi are those that survived the initial assault and those that have returned to the Temple. I think that Darth Vader shouldn't be in the mode due to the fact that it takes away from the 'scare' factor of Hunt because I also think that the Clones should be the 'survivor-esque' role as all they have is the flashlights on their blasters while the Jedi could/should have Rey's Insight ability. To change the mode up a bit, to make it more unique to the other Hunt types (without including Vader) could be to include an objective. For example, you could have the Clones attempt to reach the comms room to send out a distress call having been over-run in the east wing or something like that and having the objective be like in GA where you have to hold down the X button (Phase 1 Kamino GA). This is so the objective is continuous for the entire match but so it doesn't make it too easy for the Clones. If completed, the end cutscene is Vader arriving back in a Rogue One like reveal scene, where its all dark and then he turns on his lightsaber. I like it, but the original idea was that it is the Jedi who are the ones trying to survive. The Stromtroopers are the ones going on the offensive. Since Jedi are a bit stronger than the average trooper, Vader could act as a way to even the odds initially. Just imagine: you and a few other Jedi are roaming down the halls in darkness, and then you see a blue saber. You think it's an ally, so you got over to them, only to be impaled by that same blade. He'd give that brief illusion that he's on your side, bur you gotta be on your toes and watch out. ...I just came up with a new mode. Like a Trouble in Terrorist Town for Battlefront. Excuse me while I make a thread about this. Oh, yeah. For sure. And if they did implement it, they'd probably do something goofy, like put Lord Vader in Hoth gear, or allow the use of Legion skins to replace to 501st. But hey, it would be cool if this kind of mode happened, wouldn't it? While I love the idea, I don't know how fun it would be if Anakin was played by random people in the match. Hm. Not sure I understand. Why not? That's definitely doable. Could be that Dark Anakin / Lord Vader isn't needed here. I was thinking more that the Jedi would be the ones being hunted, thus them being the ones whose numbers are finite while the Clones inevitably grow in number. But your idea is interesting and makes a good point: The mode would have to have a strong feel for which side is scared, and which side has the advantage. The way I first put it, there's a weird balance almost, with clones in the dark with flashlights, and Jedi learning more about their attackers' positions as the battle goes on. I like it. Since the Jedi are the Hunted Ones, what if the objective is the same, but on the Jedi side? The Jedi are trying to reach the comms unit to send a distress signal out to the nearby area, saying they're being attacked by Clone Troopers. Clones must keep that distress signal from breaking through their jamming. If the call goes out, the phase with the skycars at one of the docking areas can begin. Well, I feel like it might be better if the people who are doing the most work should play as Vader first. But now that I think about it again, randomly being chosen isn't bad. 100 HP is way too low, coupled with non-lethal/impotent Force abilities and the Jedi are getting wrecked 9/10. 20 v 20 Jedi vs clones, as Jedi Die more clones spawn, but Jedi get stronger abilities/traits. Last man standing will require a lot of team work to take down. No blasters just wrist blades, a rush-like maneuver, a Radar scan, and a smoke grenade. Every Jedi he kills brings in one more clone assassin. But what happens to the other 19 Jedi as they die? Are you saying it could be 20 v 20 and the Jedi have tickets? Also, I agree. 100 health is nothing if the Troopers got both range and standard weapons. Make it like 200 or so with abilities that are between Infantry and Reinforcement level in strength. They 0nly have 1 life, while the clones can just swarm. The Jedi have one life each, and when they die they Join the clones and it becomes 19 v 21 and so on. It gets incrementally harder to take down the jedi after every 5 kills. When 15 remain they upgrade to "apprentice" When 10 remain they become "Knights". When 5 Remain they Upgrade to Master. The last man standing becomes a Jedi-Council man. Each subsequent upgrade Increase the power and Cooldown rate of any 3 Abilities they may get. From force lift, push, repulse, ect. 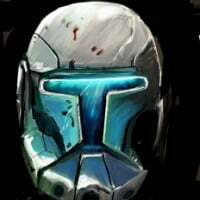 Clone players can spend points they earn from killing Jedi on weapon upgrades or traps. 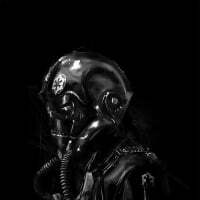 Electro Grenades, shock traps, flame throwers, saber resistant armor, ect. The exact Health number can be adjusted, obviously. But I don't know... a band of Jedi, each with the ability to disorient a swath of Clones AND the ability to knock them down in droves? Seems pretty potentially effective to me. But if not, then elements could be adjusted to create balance. Increase Jedi health. Decrease Trooper health. Add a bit of damage to Force Pushes, like maybe 50 health. 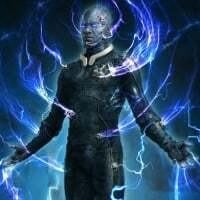 Give a broader AOE for the Mind Trick, and maybe the Force Push too. My only problem with the Jedi being the ones hunted is that I don’t find it too believable for them to be the ones ‘scared’ as they I find them too powerful to go up to a bunch of patrolling Clones. I find it much easier to have the Clones be hunted, just imagine being the clones with only flashlights walking through massive, imposing hallways and then all of a sudden a lightsaber comes out of nowhere and kills you. 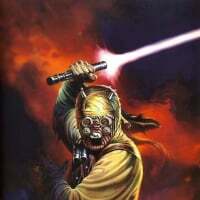 Which brings me to my next point, if the Jedi are the attackers, only have their lightsabers activate when they attack. I guess everyones getting a default low damage blaster then because anyone running the bluurg would one-shot the Jedi with 100 HP. I wasn't opposed to letting the 4 classes be in the Game mode, which is why I thought Giving the Jedi around 4-500 HP would be enough breathing room with all the sentry, stinger, or grenade spam going off. Like I said, since the lightsabers don't one-shot and the Clones can roll after the first swing I wouldn't underestimate how easy it'd be to overrun and swarm the Jedi one kill at a time. My only problem with the Jedi being the ones hunted is that I don’t find it too believable for them to be the ones ‘scared’ as they I find them too powerful to go up to a bunch of patrolling Clones. Well,that brings me around to something I was going to add in to this idea, but held back because Disney would never do it... but it's not like they'll do any of this, so who cares. What if the randomized Jedi in this scenario were kids? Padawans between say 7 and 15, or even just all teenagers. Not hardened Jedi Knights (who were mostly spread throughout the galaxy fighting the Clone Wars anyway), just kids, trainees. That's a special kind of horror all its own... Clones with special darksight filters hunting down Jedi children through an ancient temple... hearing the children's voices, "Who's there?" "What's happening?" "Oh, good, the 501st is here!" "Someone is attacking the Temple..."
... just imagine being the clones with only flashlights walking through massive, imposing hallways and then all of a sudden a lightsaber comes out of nowhere and kills you. 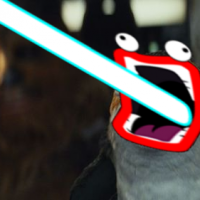 Which brings me to my next point, if the Jedi are the attackers, only have their lightsabers activate when they attack. That should probably be a feature either way. As targets, lightsabers just mark them even more, and as hunters it gives away their advantage. 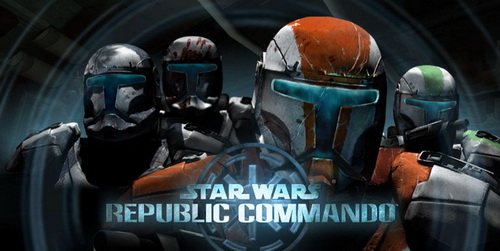 I like the thought, but I still feel like the Clones should be the Hunters in this one. The way the game is set up, there can only be 20 players per side. 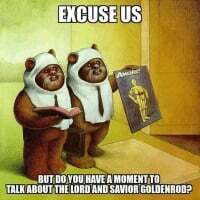 But the Jedi were the ones being hunted and exterminated. Don’t forget, the 501st were Anakin’s. These guys were battle hardened veterans. These guys could take on Jedi, especially in larger numbers. If Cad Bane could take on Masters, believe Rex and company could take on Knights. This is a very good idea @JackTHorn. This. This is the foundation for something special I think. It wouldn’t be a hunt mode exactly, but a very interesting concept idea nonetheless. I like this idea and I want it. Even if it doesn't have Anakin/Vader, if it's just Jedi VS Clone Troopers, I'd be fine with that. I'm in.